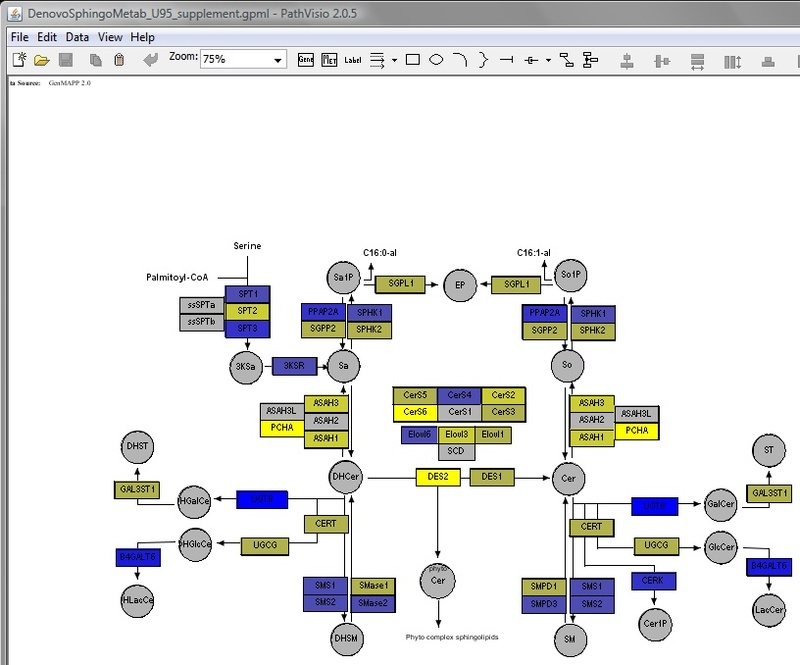 Prepared by Amin Momin, Hyejung Park, Brent Portz, Alfred H. Merrill, Jr.
of the sphingolipid biosynthesis pathway using an open acess pathway browser, Pathvisio v1.1. reported in the current literature and summarized in BMC systems biology. step involved in the preparation of the pathway diagrams are elaborated in the tutorial. 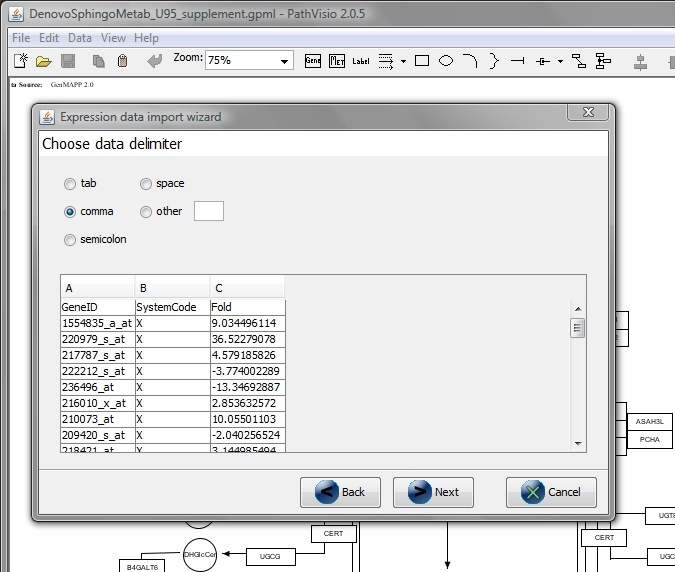 skip to Preparation of Expression Datasets from Raw Microarray Data File. from www.Pathvisio.org (van Iersel et.al , BMC Bioinformatics. 2008 Sep 25;9:399). Separate downloaders are required to be downloaded for the databases prior to thier download. Human Pathway: click on the links below and saves the files as '.gpml' in pathways folder. Download the file and save as .csv format in the pathvisio folder. 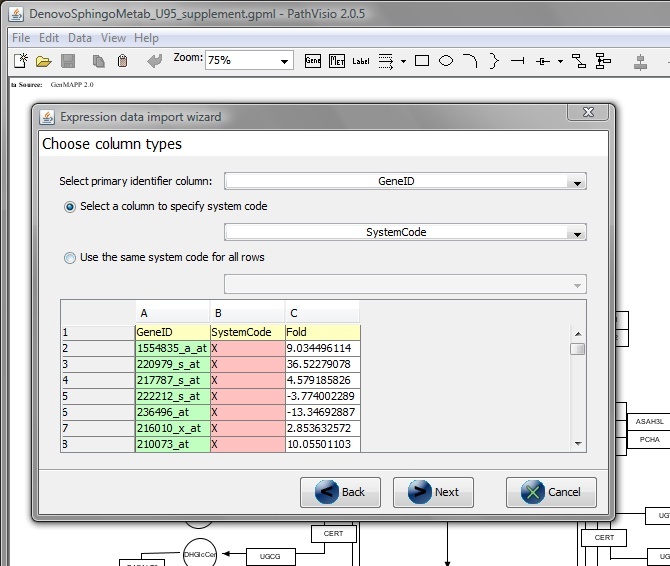 3) Pathvisio Requires the Conversion of the Microarray Dataset to a Specific File. 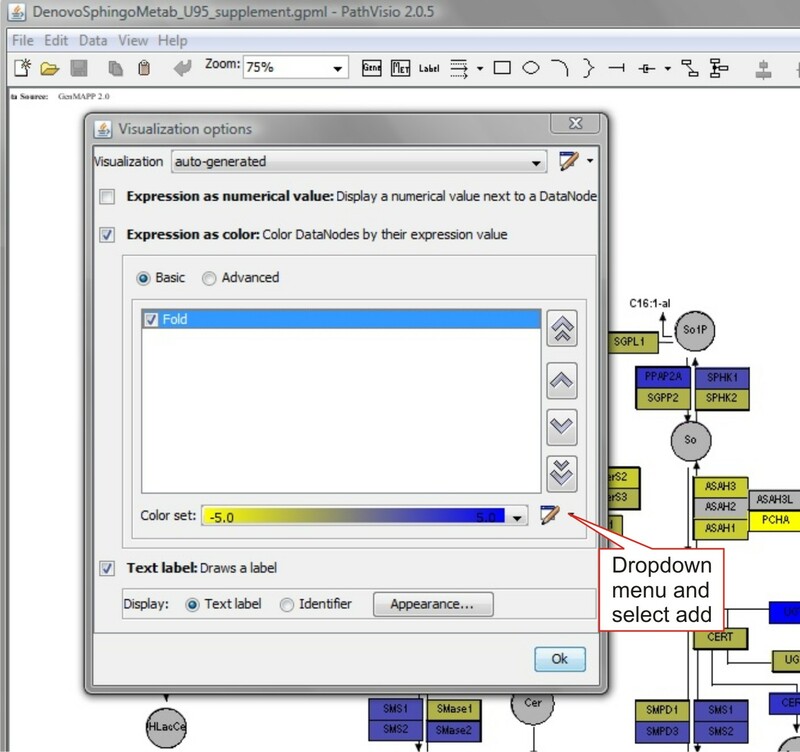 Open the downloaded pathway map in Pathvisio browser. From the File menu -> Open and then choose the downlaoded map (.gpml file). From the Data menu -> Gene Database -> Databases (choose human Hs_Derby_20xx.pgdb). and a default output file is selected (.pgex). Follow the steps by clicking next. 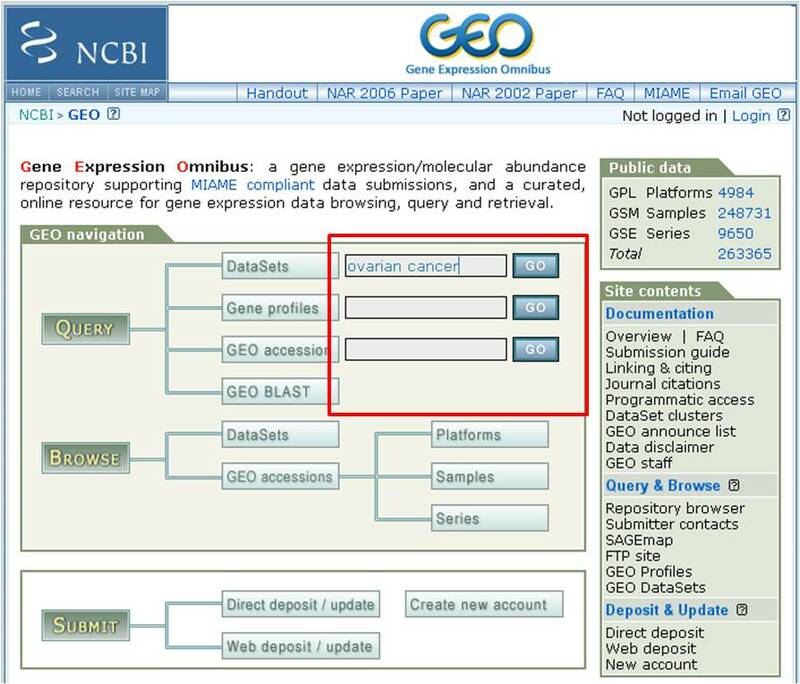 From 'Select primary identifier column' -> GeneID. From 'Select a column to specify system code' -> SystemCode. to 5.0 (max) -> Select 'OK'. 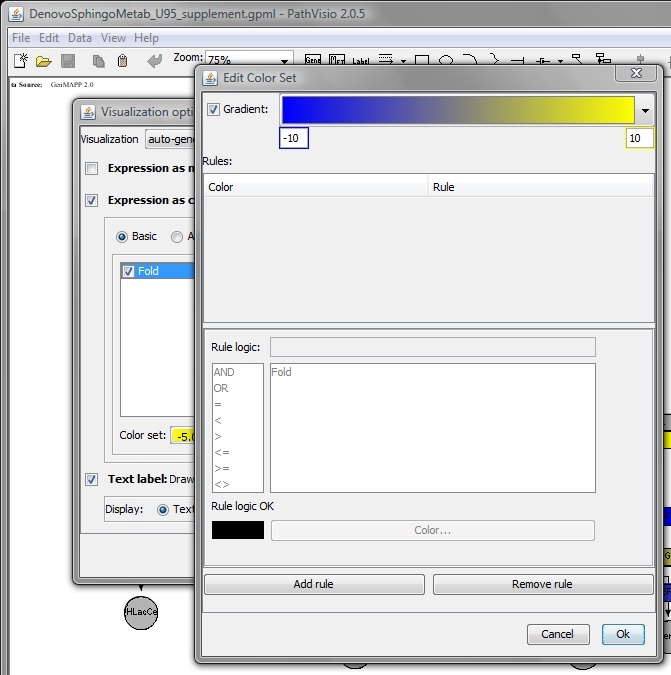 To color the map using rule, refer to the Pathvisio user tutorial at www.pathvisio.org. Upon completion the map should be colored according to the selected criteria. 1) Add metabolite differences to template file. Open the template file using microsoft excel and fill in the available fold change values (the third column). Leave the unkown values as '1' and delete the column (last) listing the metabolite annotations. 2) Copy and paste the formatted template into the gene expression file fold change file. gene expression file (previously formated .csv file). described for visulization of gene expression values (Step 4-Importing Gene Expression Values). either with disease/cancer type or the experiemnt ID provided in a publication. for other platforms or cDNA array datasets. Add all files to be analyzed. 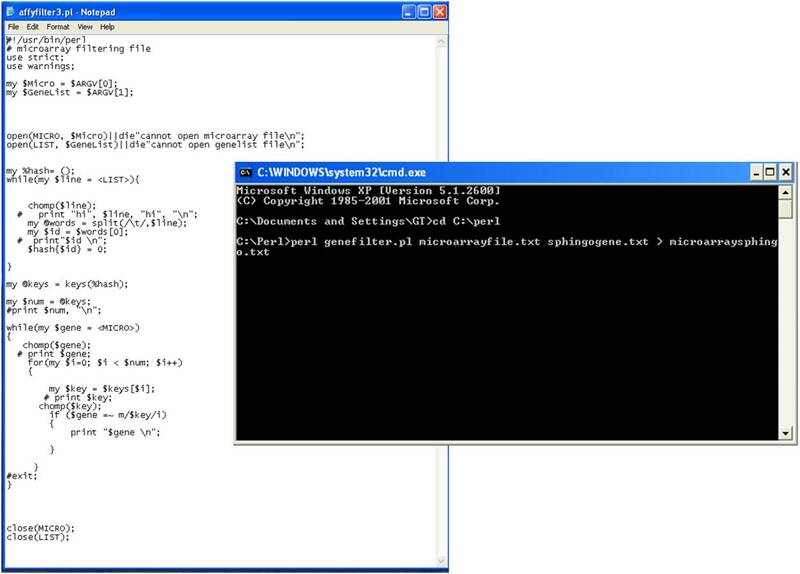 the sphingolipid biosysnthesis pathway and save it as a perl (.pl) file. chipset can be obtained from the link below. gene expression values, which is used to prepare pathvisio input dataset file. Fold – the calculated fold change for the specific gene probe. Further information about the tile format can be obtained from www.pathvisio.org. 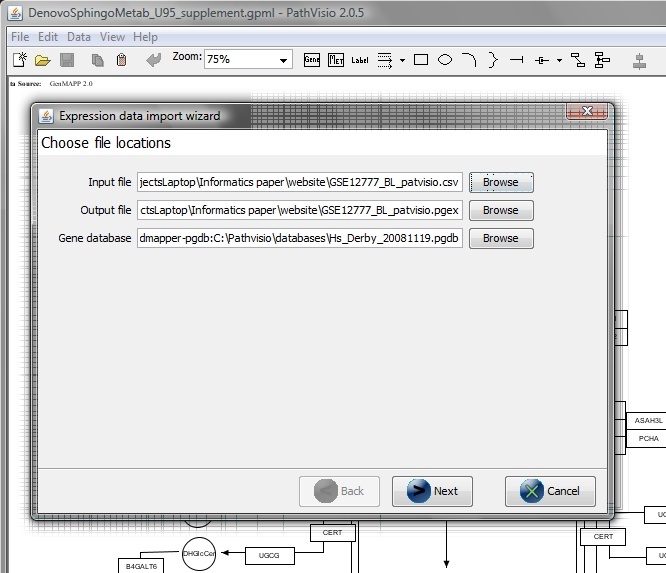 The file can be used to prepare pathvisio expression dataset as described in the previous section.